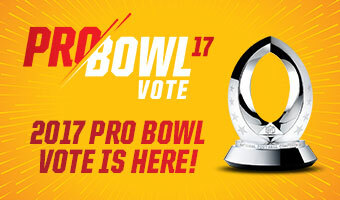 Published: Nov. 29, 2016 at 02:08 p.m.
Editor's note: NFL.com analysts and former NFL scouts Bucky Brooks and Daniel Jeremiah will grade the performances of 5 top prospects each week of the 2016 season. Click the tabs above to see their Week 13 marks for each of the players. Skinny: The Tigers' star quarterback finally delivered the spectacular performance that scouts have been waiting for this season. Watson displayed precision while carving a Gamecocks defense that seemingly had no answers for the electric playmaker. From his pinpoint passes on short and intermediate routes to his spot-on passes down the seams or along the boundary, Watson was like a surgeon attacking the voids in coverage. In fact, he was so efficient and effective executing the quick-rhythm passing game that it's easy to envision him thriving in a "connect-the-dots" system that features a number of quick throws and run-pass options at the next level. With Watson also showing improved touch and accuracy on his deep balls against South Carolina, the Tigers' standout has started to resurrect his chances of being viewed as the top quarterback in college football.